Neptune rode the seas on a copper chariot. Surfers make do with much less, gliding the waves on their slender boards. Portugal is a great place to learn the art of surfing. There are many beaches with dependable, tubular waves, and schools like Ripar that provide instruction, equipment, and lodging. Every year, hundreds of visitors arrive in Portugal as ordinary humans and leave transformed into gods of the waves, ready to challenge Neptune to a race. Click here for Ripar’s website. This unpronounceable word is the Portuguese name for table soccer. In older days many Portuguese wasted their youth learning the fine motor skills required to control the ball. 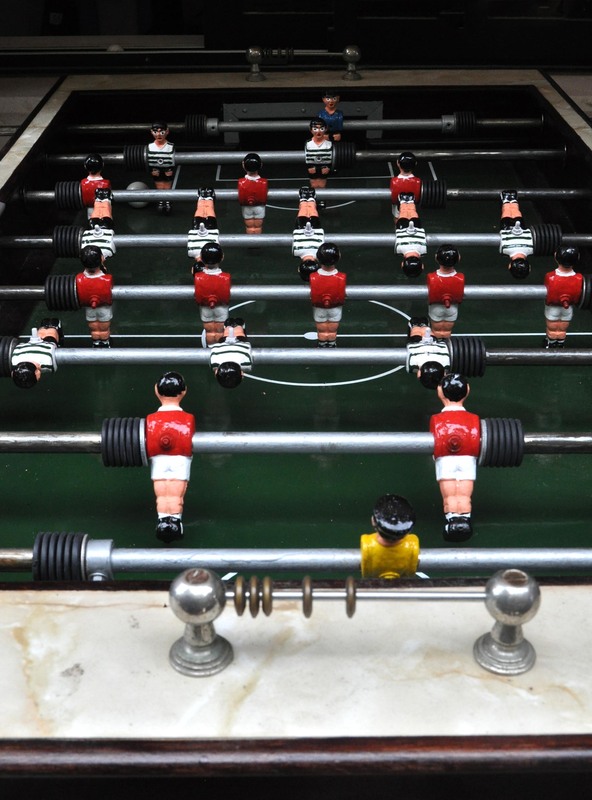 Even today table soccer remains popular. So, if you see a table at a local café don’t be afraid to join in. You will be surprised at how easy it is to start playing and at how much fun it can be.